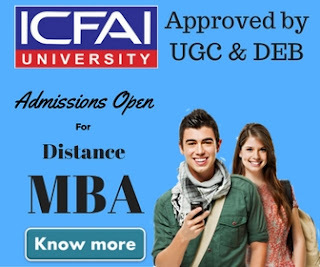 Bangalore University Distance Education MBA 2019: Bangalore University is inviting application for admission into distance education postgraduate diploma programs (MBA) for 2019 at affordable fee structure. Applications are available online for admission to postgraduate diploma under correspondence course scheme only & medium of education in English only. 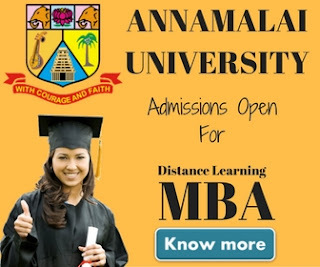 The following post graduate diploma courses in business management are being offered by Bangalore University. The duration for all the post graduate diploma programs is 1 year. Maximum duration to complete the course is 4 years. 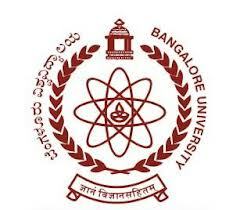 Bachelor`s Degree of Bangalore University or any other University recognized as equivalent thereto (10+2+3) or (10+2+4) Pattern securing not less than 40% marks in aggregate including languages. Students who have passed the qualifying examination from Other Universities outside Karnataka State are required to pay the Eligibility fees of Rs.1600/- in addition to other fees. Eligible students belonging to SC/ST and who are unemployed are eligible to claim reimbursement of the fee paid by them from Social Welfare Department, Government of Karnataka, by applying for it through a separate application form. The candidates should enter the receipt number of Bangalore-One/Karnataka-One in the appropriate column of the application form with their affixed photograph while submitting the application online. The Directorate of Correspondence Courses & Distance Education of Bangalore University was established in the year 1976. The Directorate offers different Courses of study leading to Under Graduate degrees, Post Graduate degree, Professional Degree, P.G. Diploma, Diploma, and Certificate Courses.